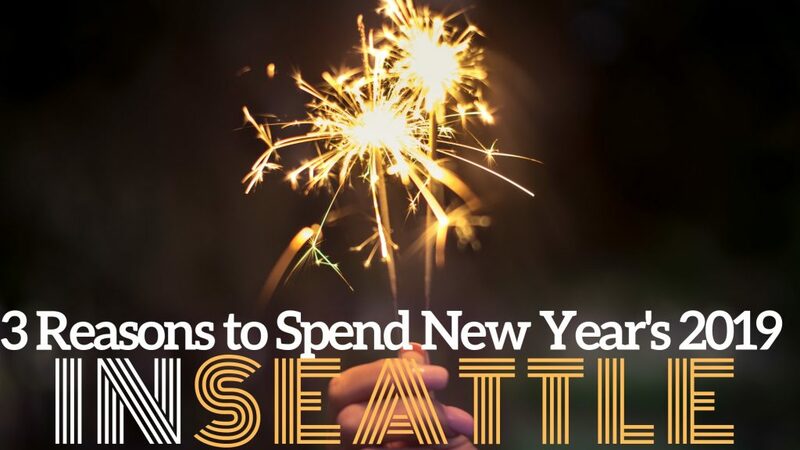 Seattle is a must-see destination any time of the year, but it reaches new heights of excitement when New Year’s Eve rolls around. A vibrant city full of diverse locations, landscapes and opportunities, Seattle capitalizes on its cool urban vibe and scenic coastline to ring in the New Year. Whether you’re hoping for excitement, drama, elegance or an electric beat, Seattle is the place to be when the calendar turns to 2019. A New Year is a new start and what better way to ring in all those sparkling new moments on the horizon than on the beautiful waterways surrounding Seattle? The Spirit of 76, the city’s most renowned party boat is ready to welcome guests on December 31st to enjoy a 3-hour cruise complete with a DJ, dance floor and full-service onboard bar. Guests will be treated to an incredible display of fireworks to top off the night and ring in the start of 2019. For those looking to add some unique color into their New Year’s Eve experience, join the human canvas project on December 31st as visitors and locals gather together at Gasworks Gallery to enjoy an evening of painting, champagne, music and dance. Guests are encouraged to dress down as paint is plentiful and everyone is a potential work of art. Get creative as you sip something sweet and dance the night away! Cool, creative and colorful, this is a night that’s meant to inspire the unexpected. Seattle knows how to bring the creativity, but when the time is right, black tie affairs are a Northwest specialty. Vue Lounge is one of Seattle’s most upscale lounges and this year, it’s the place to be when you want to kick off the New Year in style. Dress your best and show up ready to mix, mingle and dance the night away to the stylings of a live DJ. A group countdown and Champagne toast will top the night off and ensure this stylish gathering makes the most of the midnight hour. For those looking for an ultra-luxurious New Year’s touch, VIP booths and bottle service options are available for purchase prior to the evening’s glamorous festivities. Suits, dresses and jackets are the preferred attire as guests come intent to impress and spend an incredible night in the lap of luxury next door to the Seattle Space Needle. If you’re in Seattle for New Year’s make sure the team at Seattle Oasis is your premier partner when booking a vacation home. With a vast selection of Seattle vacation rental properties right in the heart of Seattle, we keep you close to the action and inspiring points of interest. Contact us today to start planning your next trip!